Thailand promotes investments by granting tax and non-tax incentives to investors in a variety of categories and locations of businesses under the Investment Promotion Act B.E. 2520 as amended (IPA) and the Eastern Economic Corridor Act B.E. 2561 (EECA). As of January 2019, 8 investment categories under the IPA are (1) agriculture and agricultural products, (2) mining, ceramics and basic metals, (3) light industry, (4) metal products, machinery and transport equipment, (5) electronic industry and electric appliances, (6) chemicals, paper and plastics, (7) services and public utilities, and (8) technology and innovation development. The Board of Investment of Thailand (BOI) is in charge of granting incentives under the IPA. Under the EECA, 10 targeted industries located in the designated Special Economic Zones (SEPZ) in the Eastern Economic Corridor (EEC), i.e. 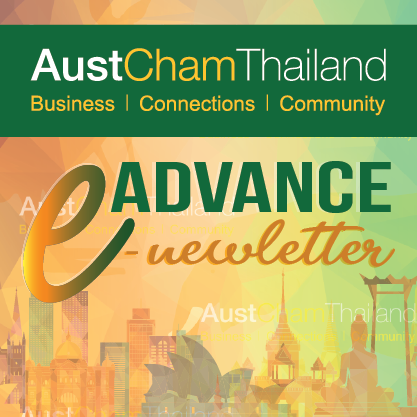 Chachoengsao, Chonburi and Rayong are the next-generation automotive, smart electronics, affluent and wellness tourism, agriculture and biotechnology, food for the future, robotics, aviation and logistics, biofuels and bio-chemicals, digital and medical hub. The EEC Policy Committee has recently included national defence and educational and HR development industries in the targeted industries but their implementation rules have not yet been issued. The EEC Office (EECO) operates as the Secretariat of the EEC Policy Committee in approving incentive under the EECA. exemption of the withholding tax on dividends distributed from profits during the corporate income tax exemption period. to get smart visas for foreign experts, executives, entrepreneurs and investors who work for or invest in promoted companies doing business in the 10 specially targeted industries to work in Thailand without a work permit. exemption from compliance with the customs law in whole or in part for export and import in the SEPZ. to receive permission as licensed foreign professionals to practice in the SEPZ, subject to the requirements and conditions to be imposed by the EEC Policy Committee. In addition to the above, the EEC Policy Committee can also grant other rights and privileges under the investment promotion law and the law on enhancement of competitiveness for the targeted industries on a case-by-case basis. Oramart holds an LL.M. in international economic law from the University of Toulouse I, an LL.M. in business law from Thammasat University and an LL.B. (1st Class Honours) from Chulalongkorn University. She speaks Thai, English and French. Oramart is a member of the Lawyers Council of Thailand and the Thai Bar Association. She is a notarial services attorney. She has advised clients on corporate and commercial matters, intellectual property, prosecution and enforcement.